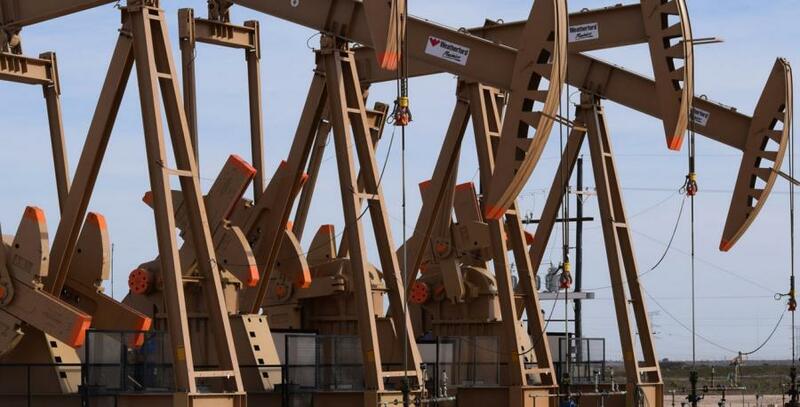 Oil production giants Chevron and ExxonMobil have announced plans to increase the amount of oil produced in the Permian Basin in the coming years. Due to unconventional methods — defined as extracting oil using methods other than a conventional oil well — oil production has skyrocketed in the Permian, leading to new pipelines, refineries, ports and transportation methods to move the oil and gas. On March 5, Chevron announced it expected an increase in cash flow, spending and production over the next five years. "Chevron is in an exceptional position to deliver industry-leading value to shareholders," said Michael Wirth, Chevron's chairman and chief executive officer in the company's press release. "Our advantaged portfolio is driving strong production growth with lower execution risk, higher cash flow and increased cash returns to shareholders." ExxonMobil also announced plans for growth in the Permian Basin. The company intends to produce more than 1 million oil-equivalent barrels per day by 2024. This means an increase of 80 percent in unconventional oil production, according to a March 5 press release. "We're increasingly confident about our Permian growth strategy due to our unique development plans," said Neil Chapman, ExxonMobil senior vice president. "We will leverage our large, contiguous acreage position, our improved understanding of the resource and the full range of ExxonMobil's capabilities in executing major projects." Chevron has added nearly 7 billion barrels in the past two years, doubling the company's portfolio value. Chevron expects to produce 600,000 barrels per day in unconventional oil production by the end of 2020 and to increase that number to 900,000 barrels a day by 2023. "We expect to deliver a three-to-four percent compound annual production growth rate through 2023," said Jay Johnson, Chevron executive vice president, upstream. "Our strong resource base gives us the flexibility and choices that allow us to fund the projects we believe will yield the best returns." According to the press release, Chevron's position in the Permian is "characterized by long-held acreage, zero-to-low royalty on more than 80 percent of our land position and minimal drilling commitments." "We've refocused our investment priorities," said Wirth, "and expect 70 percent of this year's spend to deliver cash flow within two years." ExxonMobil is focused on building infrastructure, with 30 projects designed to improve oil and gas processing as part of its "Growing the Gulf" initiative. Projects include delivery facilities capable of handling 600,000 barrels of oil and 1 billion cu. ft. of gas per day, including expansion of its Beaumont facility; a new ethane cracker at its Baytown facility; and a 1.8 million metric ton cracker unit at its San Patricio County facility. "These investments support growth plans and ensure that as production levels continue to rise, we are well positioned in processing and transportation capacity," Chapman said. Located across a 200-mi. wide, 300-mi. long area in West Texas and southeastern New Mexico, the Permian Basin, rich in shale formations, is one of the largest sources for oil and natural gas in the United States. New technology, such as hydraulic fracturing, has made extracting oil from shale cheaper and easier.